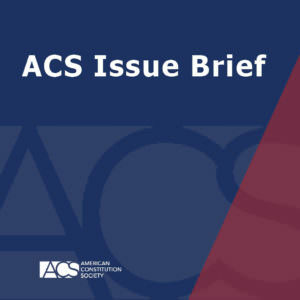 ACS is pleased to distribute “Enhancing Due Process in Targeted Killing,” an Issue Brief by Deborah Pearlstein, Assistant Professor of Law at Cardozo Law School, Yeshiva University. Analyzing the procedures and guidelines governing the military’s targeted lethal force doctrine under the Constitution's Due Process Clause, Pearlstein assesses “whether due process might require additional or enhanced procedures” when the United States employs targeted “lethal force outside of active hostilities abroad." Pearlstein concludes that despite “profound disagreements about the legality and wisdom of U.S. targeting practices,” the “public and individual interests are aligned” in favor of incremental improvements that can “reduce the risk of tragic error” in the military’s targeted lethal force operations.